The top card was made with a piece of leftover embossed card as the base. Little tangles of threads along with an extra ‘A’ and flower from previous swaps and lots of leftover glitter in the corner are glued on and held in place by a piece of acrylic held on with brads. 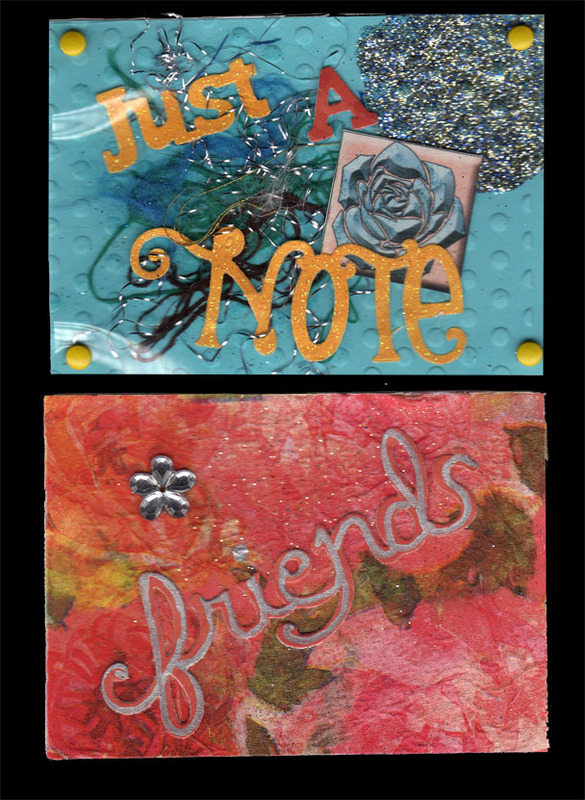 The lower card’s background was created with leftover roses from the napkins I used for my journal pages. 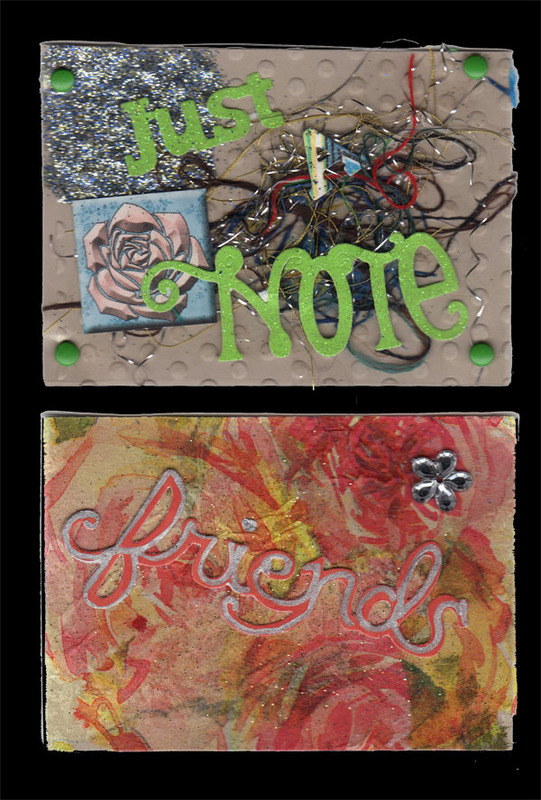 The word ‘friends’ was in my stash as well and although it’s colour was close to the roses it didn’t stand out so I outlined in silver and of course a little bling on the corner. Here is the second set, made in the same way as the first two but with different little bit and pieces. These little cards can become addictive.